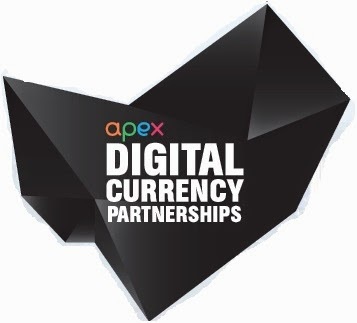 Introducing APEX: Digital Currency Partnerships, September 8-9 in San Francisco, CA. Our mission is to bring digital currency to the forefront of financial services. At APEX: Digital Currency Partnerships, you'll engage in new conversation, bridging Bitcoin philosophy and business development. We'll cover digital currencies as transactional currency, investment vehicles, protocol platforms and the underpinning of financial services for mainstream and underserved consumers. Register by Friday, June 6th to lock in the early bird rates! What would you say to other CEOs and decision makers who are hesitant to utilize bitcoin? It depends upon what their hesitancy is...There are business reasons to do it: save on transaction fees, eliminate fraud and chargebacks, etc. There may be business reasons not to do it as well, such as the risk of volatility (but this concern can be obviated by trading out of Bitcoin immediately upon receipt, a service that the firms like Bitpay, Coinapult, and Coinbase all offer, I believe). But if they are pro-freedom, they should want to get behind it on principle alone. Ghandi said, "Be the change you wish to see in the world." Clearly bitcoin and other cryptocurrencies have the potential to change how our world does money for the better. What made you such a strong believer in bitcoin, and how would you spread this knowledge to other CEOs like yourself? I became a strong believer in several ways. 1) As a grad student at Stanford I studied computation thory, which underlies public key encryption, and so when cryptocurrencies came along it was not as magical-sounding to me as it might have been. 2) I am a proponent of the Austrian School of Economics, which, in general, eschews fiat currency in favor of a gold standard. The goal is not really the gold standard, however: the goal is to have a form of money that is intrinsically limited. Bitcoin et. al. accomplishes that. To read more from Mr. Byrne's Reddit AMA, click here. And to hear him speak at APEX: Digital Currency Partnerships. Make sure you book your ticket today!